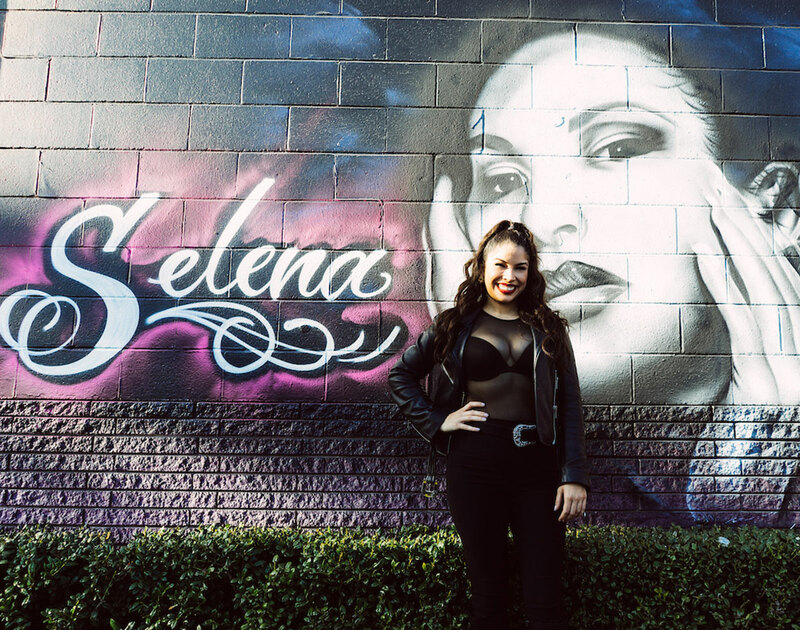 There Are So Many Selena-Themed Parties In Dallas This Year. As The 23rd Anniversary The Late Great Selena Quintanilla’s Death Approaches, Here Are All The Best Parties In Dallas Where You Celebrate The Queen Of Tejano’s Life And Music. It’s getting to be that time of the year when anyone who grew up listening to Selena Quintanilla’s voice on the radio and on cherished cassette tapes starts to get pretty bummed out. Yes, thinking about what could’ve been if esa mujer (that woman) hadn’t murdered the Queen of Tejano in Corpus Christi on March 31, 1995, can be a bit depressing if you thinking about it for too long. The move instead is to celebrate the life of the singer with other like-minded individuals around North Texas who also greatly enjoy her music. Yeah, we can tell you firsthand what a blast that can be. Because, no, while what North Texas brings to the table as far as its own Selena celebrations go may not be on the scale of, say, the Fiesta De La Flor held in Corpus Christi on April 13 and 14 where organizers go all out to honor Selena with live music in the city where the artist’s remains rest, the parties we throw around these parts in Selena’s name are pretty amazing in their own right. Check them out for yourselves — we’ve listed the ones we’ve found below — to see what we mean. As you’ll see, they’re a pretty varied bunch, offering everything from live music and dance parties to movie screenings and look-alike contests. So bidi-bidi-scroll on down for the details on all the Selena action going on in North Texas over these next few weeks. Gone Too Soon Brunch at Peticolas Brewing Company. Chef Andrew Savoie of Resident Taqueria will be whipping up some huevos rancheros and pairing them with some fresh fruit. And even though the tickets for the food part are all sold out, the Peticolas crew will still be playing all the Selena hits and serving up drafts for everyone else so you can toast to the queen of Tejano. Selena Day at Texas Theatre and Top Ten Records. The fifth annual official #214Selena weekend celebrations — organized by the Oak Cliff Cultural Center, De Colores Collective, Sour Grapes and Faded DeeJays — kick off in Oak Cliff with movies, music and art. Selena Day kicks off with a 7 p.m. screening of Selena at the Texas Theatre. Tickets are $10.75 each. Selena Day at Country Burger. #214Selena’s second day kicks off from 2 p.m. to p.m. at the Oak Cliff burger joint known for its never-ending love of Selena and features the always entertaining look-a-like contest and low-rider show. There will also be a Selena-themed pop-up market at this free event. All ages are welcome. Selena Day at Club Dada. Closing out the Selena celebration will be a dance party hosted by Faded Deejays and special guest “Screwmbia” innovator Principe Q. The bash will run from 10 p.m. until last call — getting in is free before midnight — and will also feature a Selena look-a-like contest. “A Night With Selena Quintanilla” at Pipe & Palette Home Outfitters. At this art class, you can sip on wine and paint anything you want — so long as it’s Selena-inspired. Tickets for the class cost $40 and includes all necessary materials. You can also bring your own food and drink. No experience is needed. Bidi Bidi Banda Selena Tribute at Shipping & Receiving Bar. The Selena Tribute band out of Austin plays all around the state putting shows on in honor of the late great singer. See them here before they head back for Taco Libre later in April. Cover photo of last year’s #214Selena festivities by Karlo X. Ramos. Previous ArticleYour March Madness Bracket Could Win You Pizza For Life. Next ArticleWhite Noise: Leon Bridges Is Back!